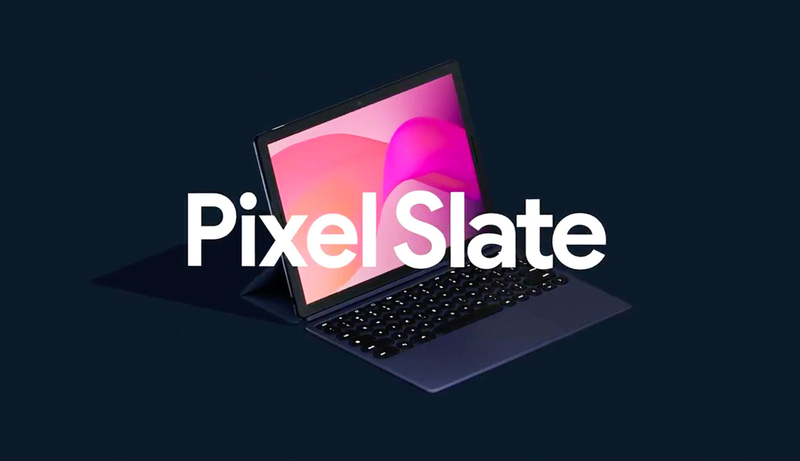 Google has unveiled the Pixel Slate, the companies new premium tablet. It's a Chrome OS-powered slate with a 12.3-inch display with a resolution of 3,000 x 2,000, which Google says is the highest for a premium 12-inch tablet. The Pixel Slate is said to last up to 12 hours on a charge. What stands out about the Pixel Slate is the version of Chrome OS it runs. When docked to a mouse or a keyboard accessory with a trackpad, it runs the regular desktop interface most people are familiar with by now. Disconnect peripherals, though, and it switches automatically to tablet mode, which is optimized for touch. The Pixel Slate will be available with an Intel Celeron or Core M3, i5 or i7 processor, and 4GB to 16GB of RAM at a starting price of $599. You'll have to shell out an extra $200 for the Google-made keyboard accessory. It comes with a trackpad, circular keys and a dedicated Assistant button, and it connects to the tablet via pogo pins, which should hopefully be more reliable than the Bluetooth connection on the Pixel C's keyboard. And of course there's the Pixel Pen, which you use to scribble on the screen, take notes, et. Google is selling it separately for $99.